Beat the heat of summer with these cool releases coming this August! 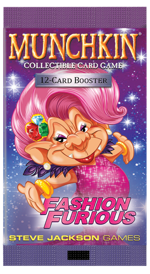 These new cards are the perfect accessory for the Hero on the go – in Fashion Furious, the second expansion for the Munchkin Collectible Card Game, there's loot for every occasion! Each randomized pack contains 12 cards, one of which will be rare . . . or better. Hey, bird-brain, kick down the door! 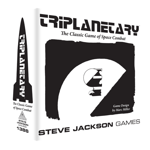 Triplanetary depicts ship-to-ship space combat in the Solar System using a vector movement system. Designed by Marc "Traveller" Miller, it was first released in 1973, with a second edition released in 1981 . . . but it's been out of print since then. 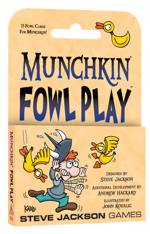 Now, this long-lost game returns with a larger map and 5/8" counters! The new edition contains an alternative combat system for those who like more detailed space warfare, but the original rules are the default and play just as well as they ever did.